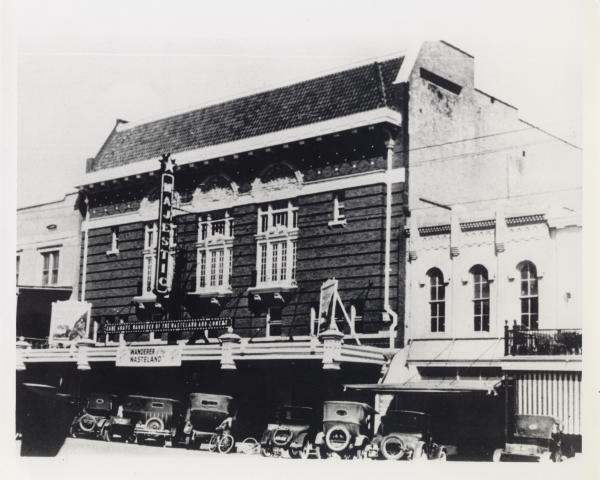 The historic Paramount Theatre has stood at 713 Congress Avenue for more than 100 years, a timeless testament to the city’s commitment to historic preservation, community and the arts. Her stage has been graced by sitting presidents, Academy, GRAMMY, Tony and Golden Globe-winning performers, magicians (we&apos;re talking Houdini), and even the occasional troupe of trained acrobatic kittens. With more than 250 performances each year, the Paramount continues the tradition of bringing diverse, creative experiences to Central Texas. Austin is the Live Music Capital of the World® for a reason. Throughout its rich musical history, The Paramount has presented titans like Billy Joel, Earth, Wind, and Fire and Miles Davis, and has maintained a dedication to Texas artists that remains unmatched. From Jerry Jeff Walker, Ray Wylie Hubbard and Willie Nelson, to Shakey Graves, Bob Schneider and Gary Clark Jr., this historic venue prides itself on its commitment to local artistry. View their events calendar here. Moontower Comedy, the Paramount’s venture into the funny business, keeps Austin laughing year round. With dozens of presented comedy performances, as well as a four-day festival taking place April 18-21, featuring more than 100 comedians at 12 local venues (more on that here, badges going fast! ), Moontower Comedy has something hilarious in store for everyone! 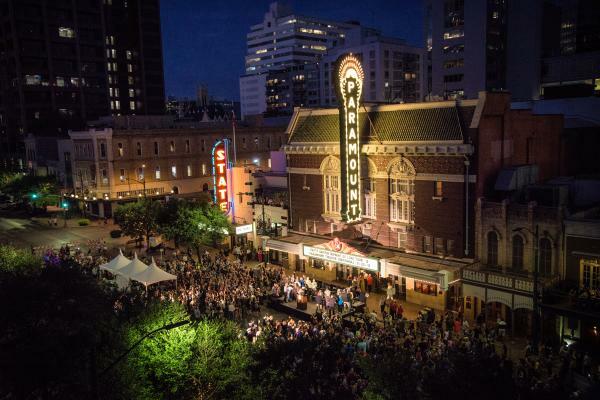 Every Summer, the smell of popcorn floats down Congress Avenue as The Paramount Summer Classic Film Series brings big-screen movie magic to thousands of Austinites and visitors. Featuring masterpieces spanning the entirety of film history, including the Family Film Festival, the Summer Classic Film Series has been an Austin institution for over 43 years. This year’s opening weekend lineup will be announced soon. Located in the heart of downtown Austin, your pre- and post-show possibilities are literally endless. Visit the Paramount online for restaurants and hotels nearby. 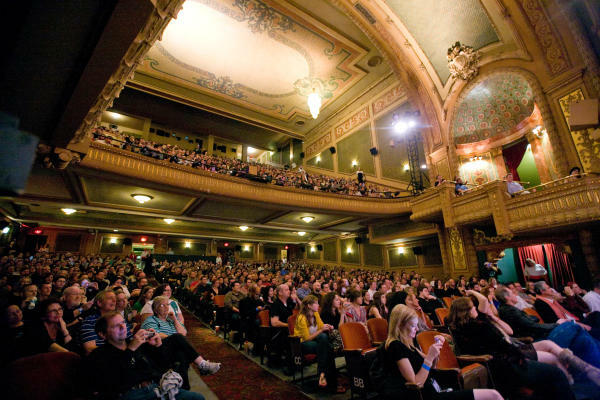 Article and photography contributed by Paramount Theatre.